Looking for an excavator or wheelbarrow? 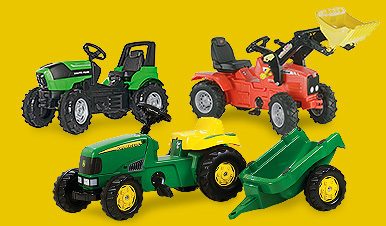 These items are also part of the Rolly Toys range. All products are designed with a focus on quality and safety. The Kramp webshop stocks the full Rolly Toys range. NH w. front l. and rear l.